Quite a few years ago, I was introduced to Beth Moore through a bible Study called Breaking Free, which Beth wrote. It was amazing - and it began a time of being spiritually refreshed through some intensive bible studies that she has written. I have taken several, as well I have gone two a couple Lifeway Events, where Beth spoke. I have been thinking of what to offer first - as a "retreat" night for women, here at 5839 Henderson. I realize that the timing is so close to summer (we seem to have missed spring in Manitoba!) however, I wanted to offer something, and came upon Beth Moore's latest Bible Study series that she has written called the Laws of Love - a study on the book of Deuteronomy. 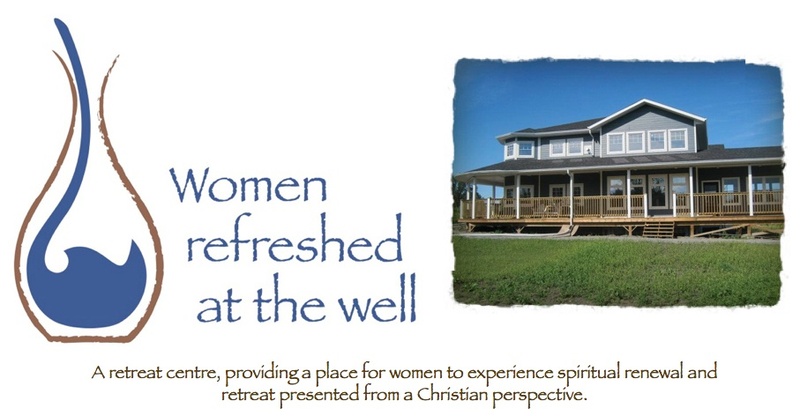 So it is, that I have decided that Women Refreshed at the Well will be hosting their first bible study, beginning on April 22, 2013. It will run on 6 consecutive Mondays. This study is not as intensive as the other ones, where you are also invited and strongly encouraged to do homework! I actually love the homework part of the bible study, as it seems this is where I grow the most! However this time, we are being invited to come together, to watch the DVD, to follow along in listening guides, and to have a time of discussing what we have seen and heard. We will begin at 7 pm and end between 9 and 9:30. The cost of the 6 weeks is $25 per person. This will include a listening guide, and a time of refreshments after the study. Space is limited, so please let us know as soon as you can - if you plan to come. It will be a time of spiritual refreshment as we study God's Word together.